These are soooooooooooooo cute! LOVING those bats and the cats!!!!!!!!!!!!! SO FUN!!! I hope you had a great time on vacay, and thank you for the pics!! I really appreciate them!!!!!!!!!!!!!!!!! These are adorable! I love the added squiggly eyes! I haven't seen colored eyes before - too fun. Oh I love these!! They really are so cute and the eyes are the perfect touch! I haven't even started on Halloween stuff...YIKES!!! ADORABLE, Sherrie! Those dies are so cute and adding the googly eyes is a genius idea! I love your choice of background paper--it really shows off that spooky tree die cut! Hugs! Such and fun and adorable Halloween cards!! I love making cards for Halloween! Love those big eyes on the kitties! 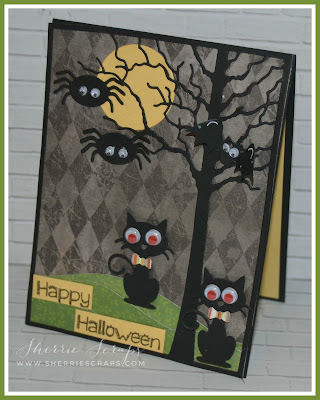 Well Sherrie, this is an extra spooky card! Hi Sherrie! Back again with a different hat! 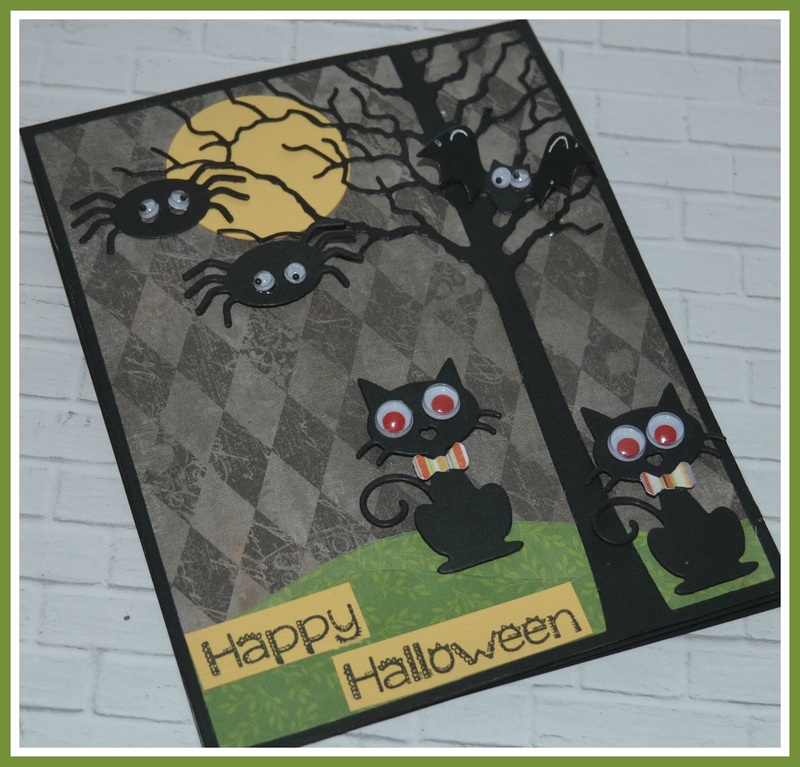 Love your spooky fun Halloween card! Thanks for playing along with us at DL.ART Challenges! Super cute cards Sherrie! Those are the most fun and adorable cats and spiders! Love the googly eyes! What an adorable Halloween scene! That tree and frame die combo is so cool, and I love the little hill and critters you added. The google eyes are such a fun touch, too. That really makes me smile! 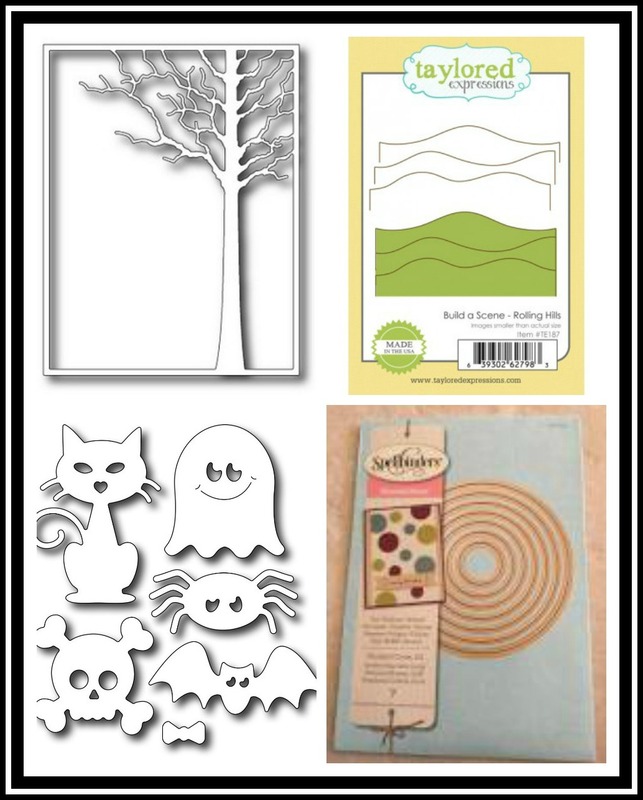 Super fun Halloween cards! 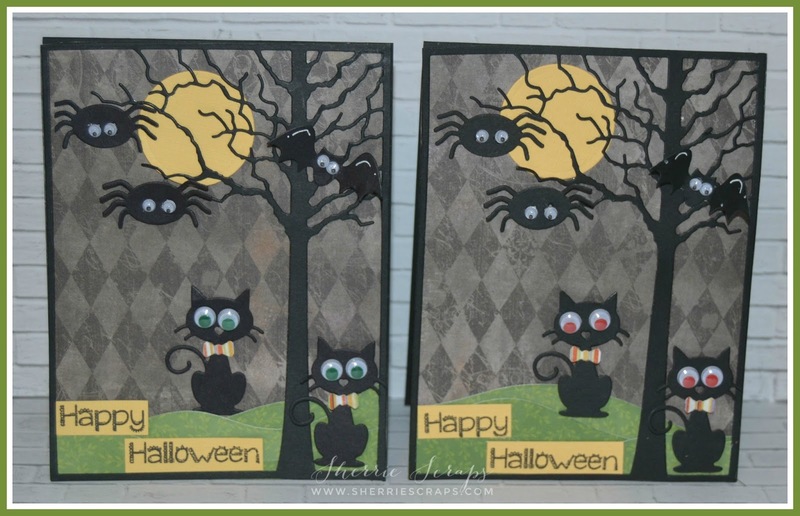 Those spiders and cats are so cute and I love the tree and frame die! 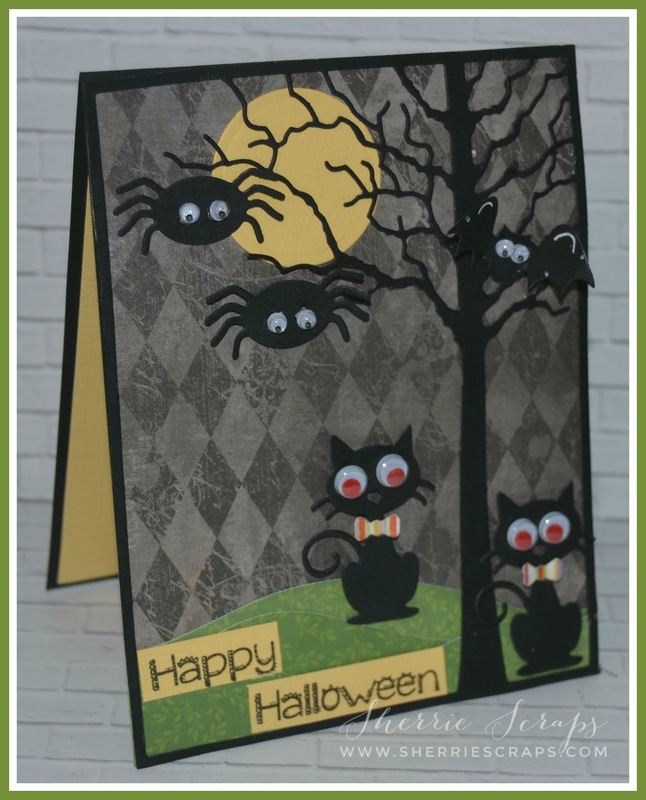 You created such a spooky fun card, Just love it! 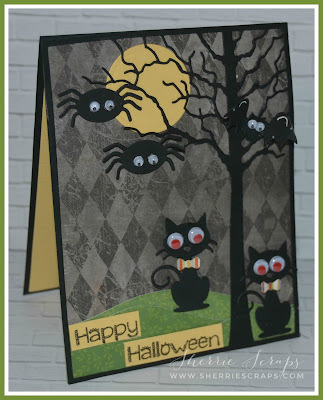 I love Halloween and I absolutely ADORE your cards!The cats, spiders and trees are so cute!! Love the fun googly eyes!SUPER CUTE my friend!